Day 1- Students working on the perimeter of the garden. 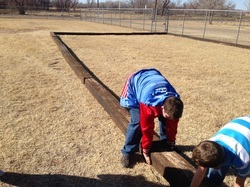 The students had measure out dimensions and calculate how many railroad ties they had to order. 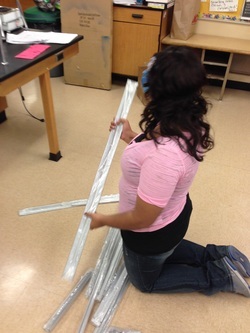 Day 2- Students are working together to assemble the indoor greenhouse to start the seedlings inside.